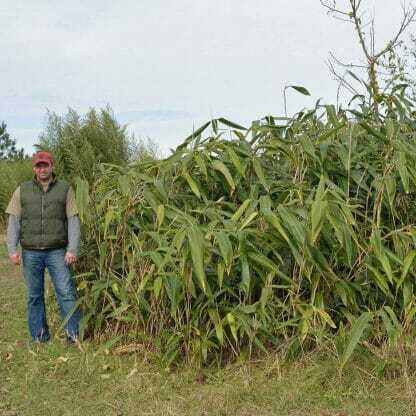 Tessellatus is an extremely hardy semi dwarf species that has the distinction of bearing the largest leaves of any bamboo in cultivation, up to 26 inches by 5 inches. Used extensively for erosion control. Order within 20 hours 15 mins and your order will ship Tomorrow! Indocalamus Tessellatus ‘Giant Leaf Bamboo’ is great for a privacy screen for 8 to 10 feet. It has the largest leaves of any bamboo in cultivation in the U.S. 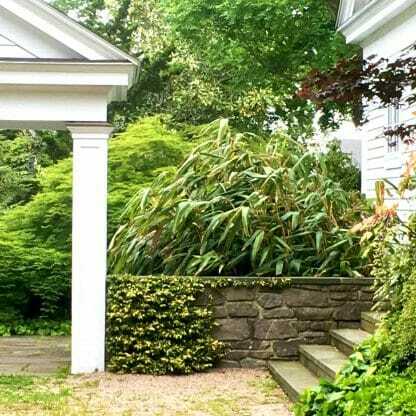 They can be up to 26 “” X 5″” They are truly large leaves and have many uses. For example Chinese and Japanese have used them in cooking by wrapping food in them prior to steaming. They also are currently being used in floral arrangements. This species is used in many countries for erosion control along flood plains. It adapts well to all planting sites. 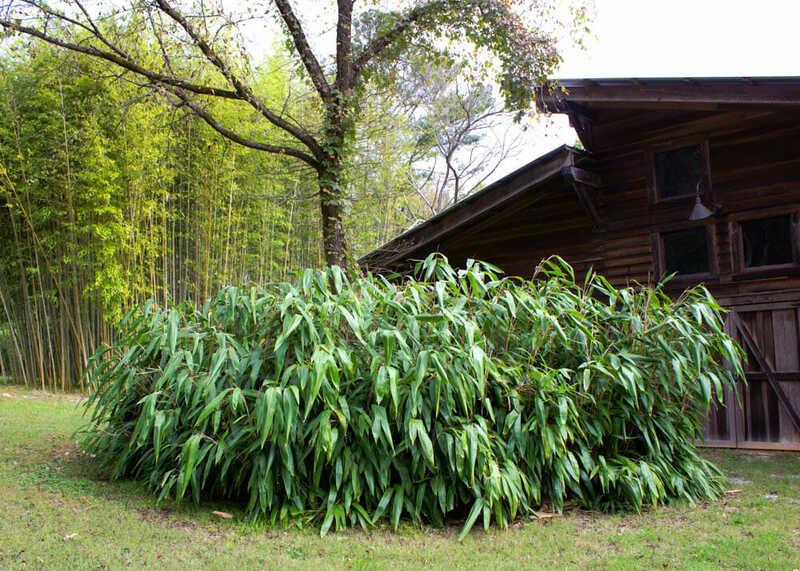 ‘Giant Leaf Bamboo’ grows very well as an under story species with any of the larger bamboo and loves a shaded site. One of our groves has reached 12 feet in height along the river side of the grove. It has thousands of rhizomes (roots) hanging over in the water picking up just whatever water it needs through out our hot summer months. 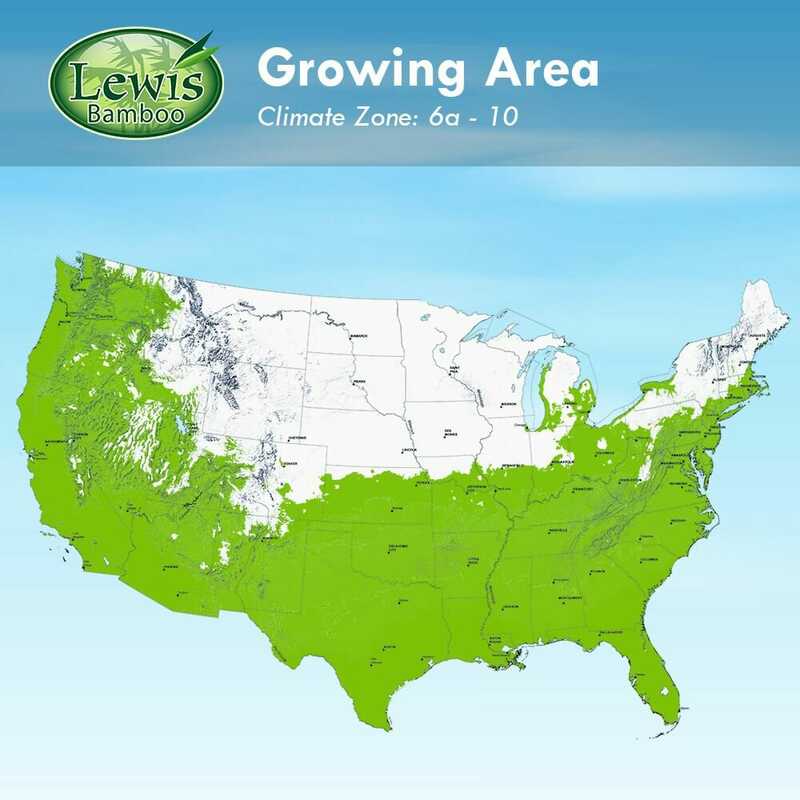 On new plantings this species will get leaf damage at around 0 to 5 degrees F. On older established groves it will remain evergreen to -10 with very little foliage damage. ‘Giant Leaf Bamboo’ makes a great indoor container plant since it adapts to low lighting very well. My plants arrived well-packaged and promptly. 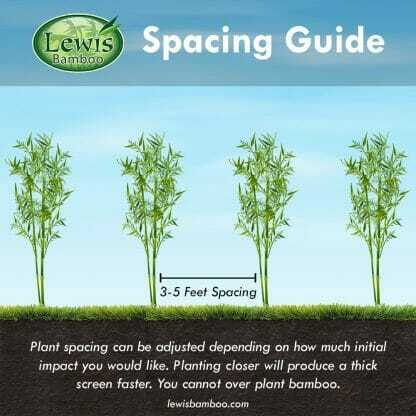 Lewis Bamboo is a wonderful company to deal with. Attentive, wonderful service. The plant arrived in great shape and is thriving!! Great - no complaints - very professional. Hi, Roger. As you mentioned in email below, winter was harsh this year. I live in northern Illinois and we had one of our coldest winters on record. We had 2 nights where temperatures reached -21. 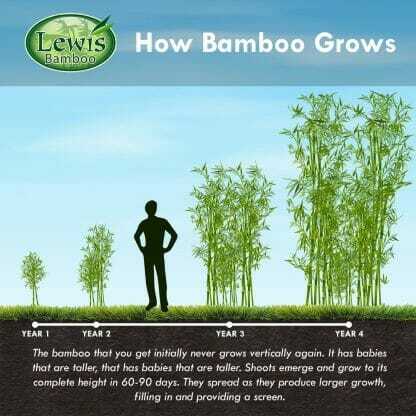 I have 5 bamboo plants which I purchased from you: Indocalamus Tessellatus, Yellow Grove, Rubro (2), and Spectabilis. I wanted to let you know that ALL 5 of the plants survived the winter. We had a lot of snow so in advance of the coldest days I buried all of the bamboo plants in 3-4 feet of snow to help them endure the extreme cold. I don't know if it actually helped but it was all I could do. Thanks for the great plants. Hi there Roger, Just wanted to thank you for the quick and friendly service. The indo. tess. arrived yesterday around 5 with extremely impressive big green leaves. We love it love it. house ; ) Thank you! It is cold hardy enough to tolerate your climate. 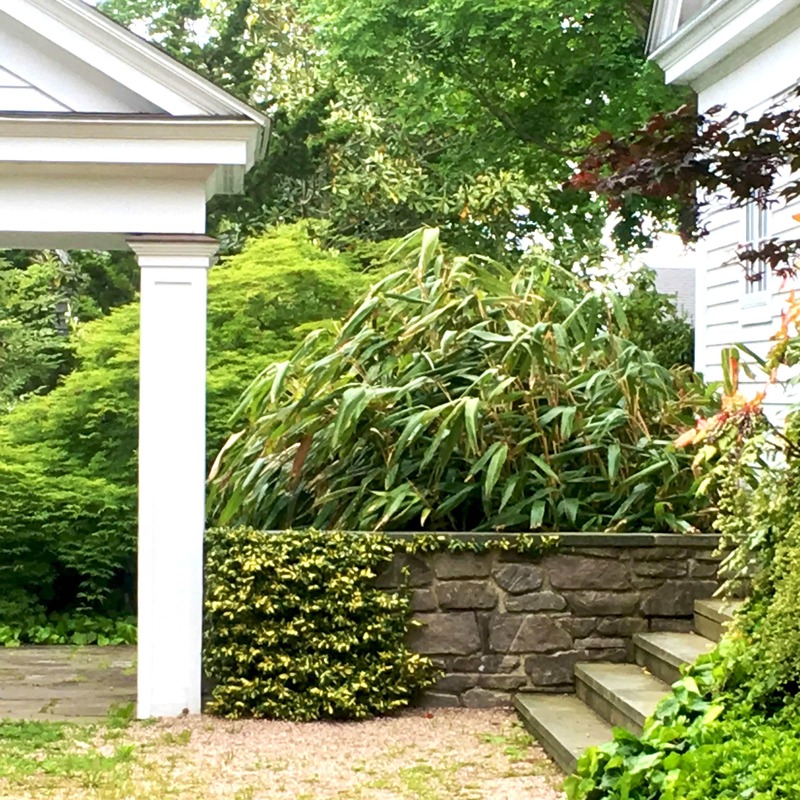 It doesn't grow extremely fast in your climate but it is a unique beauty that you can successfully add to your landscape.